What is the need for Website Re-design? An old website doesn't not look much appealing to the internet users. If your website design has been the same for the past few years, It's the time that you should change it to be on par with the changes in technology and trends. While design may be upto date, but it is lacking in functionality, creates a confusion for the users and asks them to turn away. 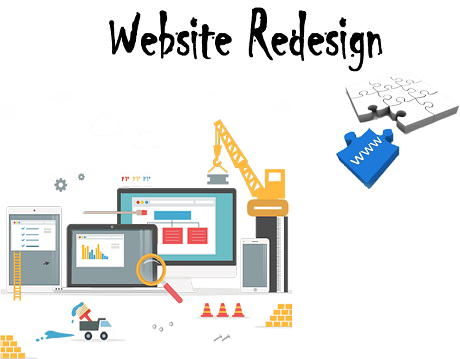 At such crisis, Consider Website Re-designing to "face-lift" your website. This also helps in bringing traffic to your website. If you feel your website needs a redesign, We can provide you necessary enhancement along with the stylish designs to improve your business. Website Redesign company in Patna have a proven record of improving our customers' performance after professional web re-designing services. By working on the dead links, Our web designers give professional look to your web pages so that your website becomes capable of ranking high in search engine results. Through proper interaction with our clients, we analyze your old/former website properly. Through a fine approach, we remove bugs and errors. And then re-design it as per your taste and preferences, to make it look more authentic on digital site.